(Courthouse News Service) An attorney for a Native American tribe took aim at century-old Supreme Court precedent Tuesday, telling the justices they should not allow it to invalidate the Crow Tribe of Indians’ right to hunt in a national forest in Wyoming. The case the high court heard Tuesday concerns how a 19th century treaty impacts Clayvin Herrera, a member of the Crow Tribe who was cited for two Wyoming misdemeanors in 2014 after killing three elk for meat that winter. Herrera and a group of his fellow tribesmen spotted the elk while on a hunt on the Crow reservation in southern Montana and pursued the animals across the border into Wyoming’s Bighorn National Forest. Herrera argued this provision prevented the state from bringing charges against him for his hunt, but his claims gained no traction at the circuit court or at various appeals courts. A jury convicted Herrera, who was ordered to pay $8,000 in fines and banned from hunting in Wyoming for three years. Herrera appealed, but again failed. Before the Supreme Court, Herrera’s attorney, Kirkland & Ellis’ George Hicks, said the treaty detailed four instances in which the Crow’s hunting rights would terminate, none of which have taken place. Unlike what the court held in a case interpreting a similar treaty a century ago, the Crow did not lose their hunting rights when Wyoming joined the union. “As we’ve put forward in our brief, there is nothing in either the text or the negotiations or the post-ratification history that gives any indication that statehood would have been a terminating event,” Hicks said. A substantial amount of Hicks’ time for argument was consumed with talk of an 1896 Supreme Court decision known as Ward v. Race Horse, which held Wyoming’s admission to the United States invalidated a similar hunting right in a treaty with a separate tribe. 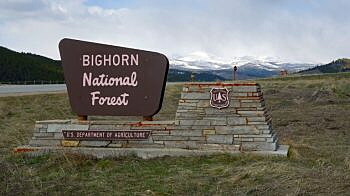 Thatdecision could be trouble for Herrera because Wyoming argues he is prevented from raising his claims due to a 10th Circuit decision from 1995 that used Race Horse to hold the Crow’s right to hunt in the Bighorn National Forest ended when Wyoming was admitted to the union. Citing the doctrine of issue preclusion, Wyoming Chief Deputy Attorney General John Knepper told the justices Herrera cannot relitigate the settled legal issue. But Hicks argued a 1999 Supreme Court case – Minnesota v. Mille Lacs Band of Chippewa Indians – altered the Race Horse decision even if it did not expressly overrule it, fundamentally changing the 10th Circuit holding and allowing Herrera to make his claims. Assistant to the Solicitor General Frederick Liu, who argued for the federal government in support of Herrera, said even if thejustices find Race Horse still applies, the treaty at issue in Herrera’s case comes with a wholly different context that sidelines the issue-preclusion question. But Knepper argued there needs to be a higher standard for when issue preclusion does not apply, a standard not met in this case. The justices did not appear to clearly favor one side or the other’s arguments Tuesday. Some, including Chief Justice Roberts, wondered how much would be disrupted if Race Horse was overturned. Justice Neil Gorsuch, meanwhile, wondered just how high of a standard the court should set for determining when issue preclusion no longer applies. While both Hicks’ and Knepper’s arguments began with the issue-preclusion question, some of the justices were eager to move beyond that threshold issue and into the meat of the case. Knepper disputed Hicks’ claim that none of the termination conditions in the treaty have been met, noting one of the conditions is if the land becomes occupied. Knepper said by designating the land a national forest, the government occupied it. “Now, that doesn’t mean that there are structures there, but that the federal government’s arrival and the federal government’s setting this land aside has the effect of occupying the land and the treaty does not require that the tribe refrain from hunting only on land where it can identify a structure,” Knepper said. But that claim dragged the arguments further into minutia, as the justices pressed the attorneys on what level of presence constitutes occupation. Liu suggested the justices adopt the logic of a federal regulation that prohibits gun use within 150 yards of a building, saying any land outside of that perimeter should be considered unoccupied. Knepper predictably advocated a stricter standard, conjuring up for the justices the idea of a swath of privately owned but utterly undeveloped land that nobody would ever consider unoccupied. Justice Ruth Bader Ginsburg was not on the bench for Tuesday’s arguments, as she recovers from surgery to remove cancerous nodules from her lungs. Roberts said Ginsburg, who also missed arguments Monday, will still participate in the case through the briefs submitted ahead of arguments.